Lock your doors, adjust your thermostat, close your blinds, turn on your lights or sprinklers and monitor your video surveillance all from your phone. 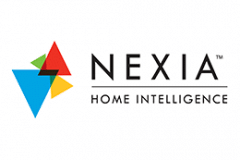 Nexia is the smart home system and works with every smartphone operating system. Control all the high-tech functions of your home anywhere you can use your phone. 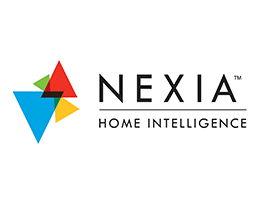 With the Nexia app, you connect and control all of the elements of your smart home. Customizable and easy-to-use, the app allows you choose how your smart devices work together by creating automation and user modes. Nexia is compatible with American Standard HVAC and lucky for you, we install this American-made brand of heating and cooling equipment! 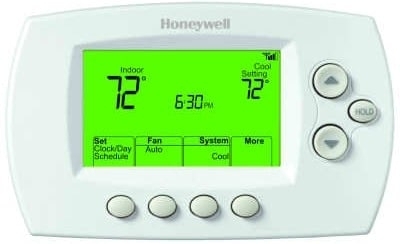 This thermostat offers both 7-day or non-programmable options. 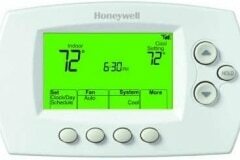 Features remote access to the thermostat through your smartphone, tablet or computer. Large, clear backlit digital display. Get precise control over the comfort in your home whether you are home or not! 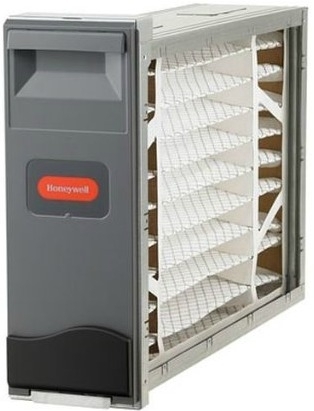 For the media files in Lincoln, installing a Media Cleaner by Honeywell, is a great way to protect your technology from the airborne dust and particles that end up chewing up the life of your equipment. The F100 offers MERV 11 filtration and captures up to 4 times more particles passing through the air than the standard media filter (and is 14 times more effective that a standard 1″ filter). It is 85% more efficient at capturing dust in the air than the standard 1″ filter. Don’t take the chance and put your family at risk. Install a Carbon Monoxide Detector and know that you have peace of mind. Known as the silent killer as Carbon Monoxide gas is literally undetectable. Small concentrations of Carbon Monoxide can be dangerous over time. CO is emitted from all gas burning appliances and equipment. Symptoms of CO poisoning are also hard to trace and may be attributed to other reasons: flu without a fever a, dizziness, severe headaches, nausea, sleepiness, fatigue/weakness and disorientation/confusion. Don’t underestimate the danger of Carbon Monoxide. Get a detector today. For questions about these home comfort products or to have one installed in your home, call or contact us today!